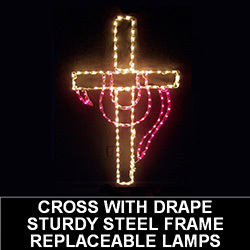 Holiday Lighted Outdoor Decoration Web Store‎ Christmas, Halloween‎, Thanksgiving, Etc. Welcome holiday decorating enthusiasts to the Christmas Decorations Etc. website. 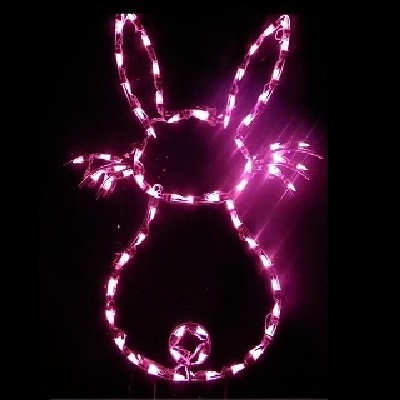 Our selection includes lighted decorations for your home or business. We have lighted decorations for just about every holiday, Halloween decorations, and lighted outdoor decorations. Our selection has almost 300 different lighted designs for you to choose from, animated decorations too. Our wire frame decorations are proudly made in the USA using 1/4 inch steel. The steel frame is then powder coated and finally painted. After the decoration thoroughly dries, the manufacturer begins to meticulously install the LED string lights on the frame of each decoration using plastic clips to secure the position of the bulb and adhere it to the frame. All of the orders ship out by way of FEDEX or UPS ground delivery service. Air service is not available on this website. The lighted outdoor decorations are made in our Christmas factory each and every day. The factory has been making these outdoor decorations for over twenty years. Your order will be shipped to you directly from the manufacturer, located in the USA. Please take some time and look through the selection of lighted outdoor decorations. Christmas Decorations Etc. also carries a comprehensive selection of lighted window decorations for Halloween, Christmas and almost every holiday display. If you are looking for a specific product or have a question, please send an email to support@teamsanta.com and we will get back to you quickly. Thank you for visiting with us. We hope that you will consider adding lighted decorations from our selection to your holiday displays.